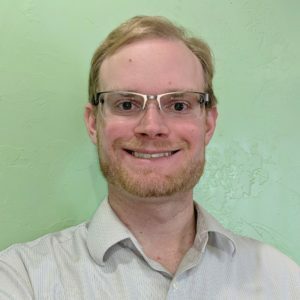 Hello, I’m Bryce Carter, Solar United Neighbors of Colorado’s Program Director. I’m excited to announce our organization’s launch in the state. Our goal is to jump-start the next wave of rooftop solar adoption and facilitate local economic development. Solar United Neighbors is a non-profit that works across the country to help people go solar, join together, and fight for their energy rights. We envision an energy system that benefits everyone by putting rooftop solar energy at its cornerstone. One way we accomplish this by working with partners to develop solar co-ops. These co-ops bring communities of neighbors together in a bulk purchase program to make it easy for homeowners to save on going solar. Solar United Neighbors works with co-op participants to help them understand solar technology, solar financing, and the process to install panels on their homes. Once the group is large enough, about 25 participants, we submit a request for proposals to local installers on co-op participants’ behalf. Co-op participants then form a selection committee to choose the bid that best meets the needs of the group. Solar United Neighbors provides installer-neutral advice throughout this selection process. The chosen installer then develops personalized proposals for each co-op participant. Homeowners review this proposal and decide if they want to sign a contract for solar with the co-op installer. Solar co-ops are community-driven and prioritize consumer education. Co-op participants have the benefit of our organization’s more than a decade of experience helping communities go solar. By going solar as a group, participants can receive a quality system at a good price. The solar co-op process benefits the chosen installer because it allows them to order equipment in bulk while reducing travel and marketing costs. Our first-year plans for the Centennial State are ambitious. We will work in and with the communities of Fort Collins, Yampa Valley, and Denver to launch half a dozen solar co-ops. These groups will help approximately 100 households go solar and facilitate $2 million of investment in local solar installers. We’ll also be helping to strengthen Colorado’s community of solar supporters by providing solar education and social events where solar enthusiasts can learn, share stories, and celebrate solar energy. We will be working in close collaboration with partners in government, business, non-profit, and academic sectors to accomplish these goals. We are excited to partner with Environment Colorado, Alpine Bank, Colorado Renewable Energy Society, New Energy Colorado, and Yampa Valley Sustainability Alliance. If you or your organization would be interested in taking part, please contact me. I have spent much of the past decade bringing communities together to pursue a just, renewable energy economy. I look forward to working with people across the state as we work to ensure all Coloradans can benefit from solar energy. If you’d like to help out, or just want more information, let me know.